OrganiCup is made purely of soft, allergy- friendly silicone, free of bleach, glue, perfume, lotion or indeed anything that doesn’t belong inside your body. Chemical-free and with minimal risk of Toxic Shock Syndrome. The OrganiCup is becoming increasingly popular among consumers, and the reason for this is clear: OrganiCup is the healthier, easier and greener alternative to disposable pads and tampons. A healthier, chemical free period: OrganiCup is made of 100% medical-grade silicone, no additives, or chemicals. So, it doesn’t mess with your body’s natural environment. 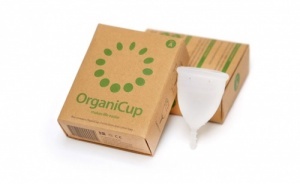 While tampons and pads absorb necessary vaginal secretions, OrganiCup simply collects. 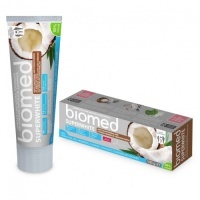 This eliminates irritation and dryness while ensuring the natural pH-balance is kept intact. Easier - Up to 12 hours of leak free protection: OrganiCup gives you a worry-free period. It’s simply emptied morning and evening. You don’t have to think about your period during the day. Or night. It is secured in its position by a light vacuum, and the soft material won´t make you feel a thing! Once it’s inserted properly there is no risk of leaking. OrganiCup offers you a leak-free protection, even when you sleep, run, do yoga or swim. No limitations – just super-freedom. Greener: Besides being healthier for your body, OrganiCup is also better for our planet. Pads and tampons are used and thrown away – every month. OrganiCup is re-usable for several years, so it is potentially the biggest contribution towards protecting our environment you can personally make. And it’s not bad for your wallet either. OrganiCup is certified VEGAN and AllergyCertified™, ensuring that our products don’t contain any allergens and is suitable for sensitive skin. How does the OrganiCup Work? OrganiCup unfolds to form a light vacuum keeping it securely in place. It won’t fall out (not even if you do a triple somersault). Due to the vacuum, the menstrual blood won’t come into contact with air so no odor issues, ultra hygienic and antibacterial. Wear all-day and all-night. Up to 12 hours leak free with no dryness or irritation. OrganiCup can contain 3 times more than pads and tampons, which means most people just need to empty it morning and evening so no interruptions during the day. Or night. And did you know that about ¼ of the fluids absorbed by a tampon are natural and necessary vaginal secretions? OrganiCup only collects, thus eliminating irritation and dryness while ensuring the natural pH-balance is kept intact. Lasts years, not hours and that means huge savings for you and for our planet . Think of the constant waste produced by plastic based pads and tampons. An average woman uses 11.000 pads or tampons during a lifetime. OrganiCup means 30 grams of waste instead of 30 kgs. 9 out of 10 people who try it, continue to use it. The difference between size A and B is very small (size A is 0,4 cm smaller than size B) but still it is very important to use the proper size to prevent leakage. 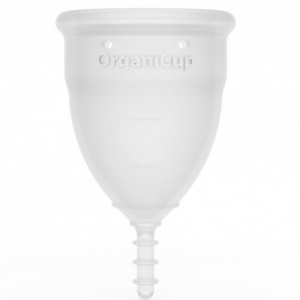 We recommend the size B OrganiCup if you have given birth vaginally, because as we give birth, the hips will naturally widen and the vaginal muscles will lose elasticity. If you consider yourself “petite” and find it hard and uncomfortable to use regular sized tampons, the size A OrganiCup may be best suited for you, even though you have given birth vaginally. 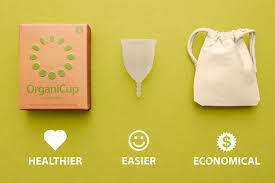 Menstrual cups have become increasingly popular in the last couple of years, and most cup users will recommend it and say they consider the cup the best answer to their period essentials and wonder why they didnt start earlier. The learning curve however, can be a bit more tedious than that of pads and tampons. So, if you’ve tried the cup once or twice and are thinking “this does not work for me” don’t give up just yet! After a couple of cycles of trial-and-error, most cup users will figure it out by trying different folding and insertion techniques and thereby becoming permanent cup converts! Schedule a day where you can stay at home and relax to try out your cup for the first time. Taking a shower before or while trying to insert It first time can be a good idea, as your pelvic floor muscles will be relaxed and therefore making insertion of the cup easier. Find a position for inserting the cup – you can either lie down on your back, squat down, sit on the toilet or simply stand up. You will find the position that works best for you over time! Fold your cup with your preferred folding technique and insert! (we recommend the punch down fold or 7-fold since these folds will have the smallest diameter) When inserting the cup, keep it angled downwards towards your tail bone. When the entire cup is inside of you, simply remove your fingers and let it pop open. Sometimes a “pop” or suction sound can be heard which means that the cup has folded out completely. If in doubt, reach up and feel around the base of the cup – It should be round or oval once inserted. If you feel any dents or folds on the base with your finger, it means that it has not folded out. Remember to use water or water based lubricant to make insertion easier. When in place, try to pull the stem a bit. If you feel some resistance, the vacuum has been created and the cup has been placed successfully! Women with a strong pelvic floor muscle or high cervix will experience that the cup naturally finds its own optimal position after insertion. Some women also find that the cup will “sit” high in the cervix after insertion which is totally fine, however, removal may take more practice. A good tip when insertion the cup is to relax your jaw muscles – believe it or not, relaxing your jaw affects your pelvic floor muscles as well. When it’s time to remove the cup, you should start by washing your hands and relax your pelvic floor muscles. Then either sit down on the toilet seat or squat as this will shorten your vaginal canal and push the cup further down, making it easier to reach and remove. Try to remove the cup while taking a shower to avoid a possible mess. When reaching the stem of the cup, simply break the seal by squeezing the bottom until you hear the vacuum releasing itself. Then gently “wiggle” the cup back and forth until it has been completely removed. Empty the contents into the toilet and wash the cup with cold running water and make sure to clean the air holes as well before reinserting. Delighted with my organicup, wish I'd tried it earlier. So easy to use, got it in place on first try. Watched a few videos before I started. Wore it running, walking and overnight from day 1 of my period and no issues, no leak even on heavy days. Very comfortable. Tried this as was aware of how much one can go through and wanted to reduce my footprint. At first it does look strange, but I found it very easy to use, have tested it swimming, running, at the gym feels great as you simply don't feel it. No leaks which I found had suffered from previously during heavy times. Go for it, will not look back. 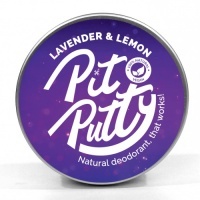 This product was absolutely fantastic, on so many levels! Firstly, the customer care was above and beyond what we all usually experience with online shopping - a great sense of the supplier being involved with and listening to the customer. Even my post on Instagram about the new purchase was noticed and responded to! The packaging of the product was minimal and entirely eco-friendly, and also arrived well within expected time - even a little faster than I expected. and be entirely comfortable the entire time. This product passed with flying colours, and I will be using it for the foreseeable future. A huge thank you to Earthmother! 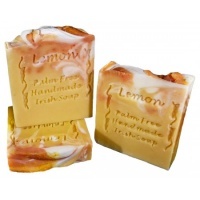 Super happy with this website, product came the next working day and I was kept updated the whole time. I decided to give this cup a go after a lot of research and good reviews, I ordered it yesterday and received it today with a hand written personal message to me saying thank you for my order and they hope I get on well with it- this is good customer service! The cup which I have worn today if great, got it in without too much difficulty and without too many details it done the job! I’m not converted to cups... bye bye tampons! I’m delighted I can help the environment in my own small way! Great affordable price too! Great quality item. So easy to use. Fast delivery and great service. Thank you. I love OrganiCup! It's does the job and I don't feel guilty polluting the planet with disposable alternatives. I wish I tried it before. Excellent shop, lots of lovely items and curated by a lovely person. I received my item, exactly as described , promptly and packaged with care. Highly recommend this shop to all lovers of nature and natural care.